Choose themes specifically designed for dentists. Whether you are a one person shop or have a full staff, your site will be professional and express the personality of your business. Our easy to use website builder will help your business both expand and save money. 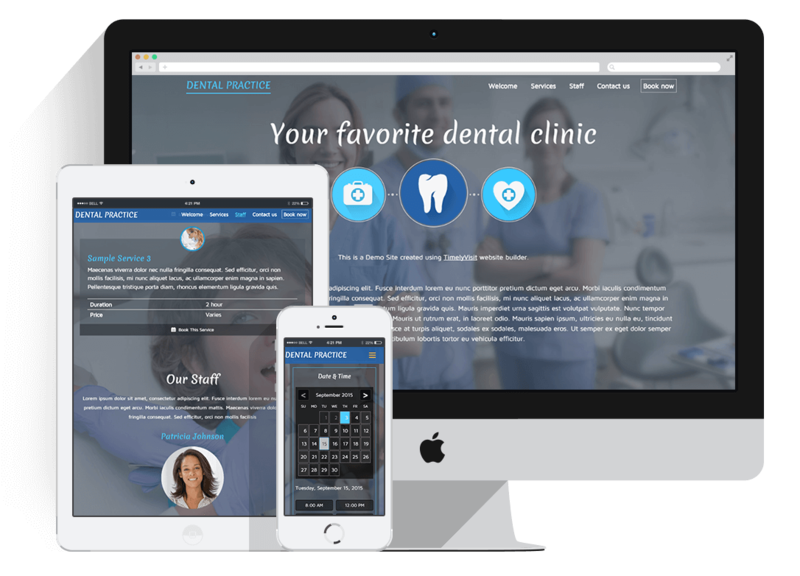 The crisp look of your dental clinics web page will attract more patients, while the ease of scheduling online appointments helps you to save money. The workload of your staff will be greatly reduced as they spend less time on the phone with patients. Patient punctuality will be increased and no shows will be decreased with our exclusive text message alert option. You can receive all of this after easily setting up your own professional website. View our tutorial to see how easy it can be.